Help Shelter Pets Run and Play! Special Pals is an amazing shelter, rescuing, rehabilitating & rehoming 100s of homeless pets – so many that they’re running out of space & their pets are stuck in kennels & cages. With our partner Rescue Rebuild, we’re creating a “Doggy Retreat” where dogs can run & play. We’re also building Catios, so cats can spend ALL their time outside of cages. Please help! 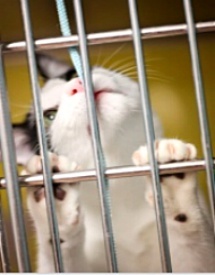 Just $5 will help get these dogs & cats outside of their cages… so they can run & play freely.